There are many different volunteer opportunities here at Seattle Humane, including weekly, flexible, and on-call shifts in our shelter. You can work hands-on with our pets, choose to help in one of our administrative departments, or even volunteer from home! You must be at least 18 years of age to volunteer at Seattle Humane. However, we do have plenty of opportunities for teens to be involved in ways that will earn community service hours. Please note that Seattle Humane does not offer volunteer opportunities for court-ordered community service. Join the fun and make a difference at Seattle Humane! 1. Watch the Seattle Humane 101 orientation video to learn more about our program to see if volunteering at Seattle Humane will be right for you. 2. Submit a volunteer application. 3. A team member will email you within a few business days to provide more information on the next steps. Email [email protected] or call (425) 649-7557. If you're a new volunteer, submit an application. Already a Volunteer? Access your Volgistics login below. Our volunteers are the heart and center of operations here at Seattle Humane. Browse below for the many different ways that you can help! Openings vary based on current need and availability. Individuals who submit a volunteer application will be sent a full list of available openings to choose from. Volunteers help customers and staff with the adoptions process to help place animals with new families. Responsibilities include greeting customers, answering questions about the shelter and adoptions process, and introducing adopters to potential pets. Adoptions volunteers must be friendly and outgoing, comfortable handling all types of animals, willing to work in a busy atmosphere, and able to lift 25lbs. 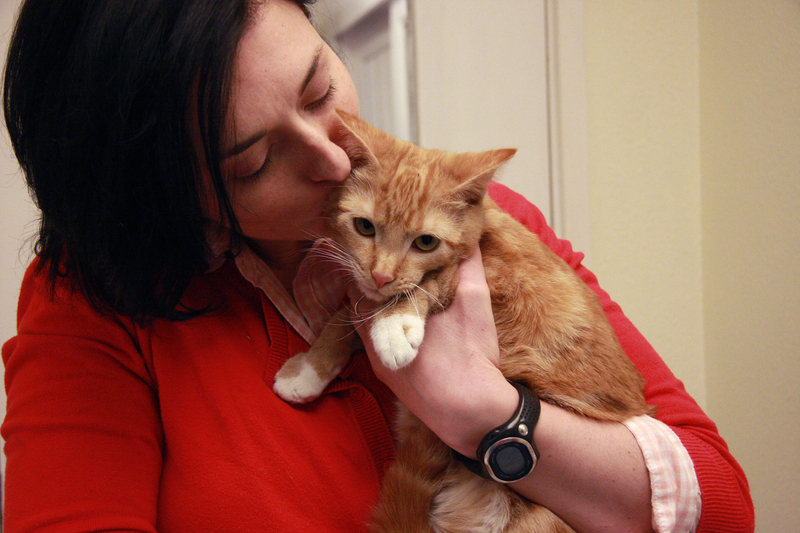 Help keep Seattle Humane operating smoothly by providing valuable office support. Volunteers may assist with data entry, answering phones, greeting visitors, preparing bulk mailings, and more. Work hands-on with our cats and help us keep them happy and healthy! Duties may include cleaning cubbies and basic housekeeping, socializing, feeding, providing exercise, mental stimulation, basic grooming, enrichment, and love! Volunteers must be comfortable handling cats of all sizes and be able to lift 25lbs. Work hands-on with our dogs and help us keep them happy and healthy! Duties may include cleaning kennels and basic housekeeping, feeding, walking, providing exercise, mental stimulation, training, and socialization. This is a very physical job! Volunteers should be comfortable around a noisy environment, comfortable handling active dogs of all sizes and breeds, and be able to lift 50lbs. Help keep our rabbits, guinea pigs and other small mammals clean and comfortable by providing daily care and socialization. Duties may include feeding, cleaning, and medicating as well as providing daily enrichment activities. Volunteers must be comfortable handling various types of critters and be able to lift 25lbs. Help educate the community and the next generation of animal lovers by assisting our Education Department. Our Education Department offers opportunities for individuals of all ages to learn about the importance of animal companionship and raise awareness of animal-related topics. Education volunteers may assist with leading tours, facilitating classes and presentations, developing curriculums, supervising youth programs, and more! Education volunteers must have great communication skills and enjoy interacting with people of all ages. Help pet owners bond with their dogs by assisting our public dog training classes. Duties may include greeting and checking in clients, helping with set up and break down of the class space, and providing general assistance to the trainer and clients during class. Volunteers must be comfortable interacting with the public and handling dogs of all breeds and sizes. Help our Veterinary Services department provide high-quality medical care to our pets. Duties may include preparing and cleaning instruments and spaces used for medical procedures, general housekeeping, caring for animals being housed in our clinic, providing general assistance during medical procedures, data entry, and more! Volunteers must be comfortable working in a fast-paced environment around animals who may be ill, injured, or having surgery. Our Community Outreach programs provide services that help low-income individuals or families experiencing hardship keep their animal companions. Volunteers may work in our Pet Food Bank sorting and packing donated food, delivering supplies to home-bound clients, assisting with our Pet Project veterinary clinics, monitoring donation barrels to keep our Pet Food Bank stocked, work one-on-one with clients to help them with basic pet care needs, and more. Our Life-Saver Rescue program brings pets from other shelters and organizations all over Washington and other states. These pets are brought to Seattle Humane to be placed for adoption, or are transported by our team to other local, no-kill facilities. Volunteers can assist with loading and unloading transfer animals, caring for newly-arrived pets on campus, providing general office support, and more. Do you have a knack for photographing or filming pets at their best? Can you write a short profile of each pet that captures their cuteness and personality? Our Pet Publicist program would be perfect for you! Volunteers use their own digital cameras to take photos or videos of our adoptable cats, dogs, and small animals and write profiles on our pets to be posted on Seattle Humane’s website and social media channels. In many instances, a great picture or video are all that's needed to help find a loving family for a deserving animal. Volunteers play a pivotal role in the fundraising activities and community outreach efforts that make the work of Seattle Humane possible. Special events are held throughout the year and volunteers are often needed to staff information booths, register guests, help with set-up and clean-up, and more. If your pet has the personality and disposition to visit children in schools or residents of nursing homes and adult day care centers, spend a few hours a month making someone's day brighter. Share your pet's love and bring some joy to those who cannot have pets live with them. Dogs will need to be certified as Delta Society Pet Partners or pass a Canine Good Citizen assessment. We ask for at least a monthly commitment. Foster a pet and give them a loving temporary home while they’re waiting to be adopted. Fostering is a rewarding and enriching experience and a great volunteer project for families or individuals who love animals but cannot commit to having a full-time pet. Learn more about fostering a pet. Seattle Humane Young Professionals helps animals in need and brings together young people through meaningful and fulfilling volunteer activities and opportunities to socialize and build relationships with other animal lovers. Looking for a service project for your company or organization? There are many ways your team can support Seattle Humane and our animals! Throughout the year, we rely on groups and individuals to help us meet the needs of the animals served through our Pet Food Bank. If you are interested in organizing a pet food drive in your community, school, church, or business, please contact our Community Outreach Coordinator at (425) 649-7566. Passionate about Seattle Humane’s life-saving services, care for homeless and abandoned pets, and ensuring that all pets have a loving home? You can help by featuring our pets on your website! Choose our Shelter ID (WA06). Give our adoptable animals additional exposure by printing out online profiles and posting them at work, school, your place of worship, or your favorite local businesses.